A sci-fi crime thriller, a chilling debut from Caroline Mitchell's latest detective series, dark retellings of Snow White, Cinderella and Rapunzel and an action comedy spoof that fuses Indiana Jones with MI6 owned robot assassins... This audiobook production business can be fun sometimes and you certainly can't complain about every day of work being the same! September and October have been busy months for our team here at Audio Factory and when November came so did the audiobook releases for many of the titles we produced in that period. We thought we'd provide a quick run down of some of the latest to hit the digital shelves and who knows - perhaps you can find a late christmas present amongst this lot? Detective Ruby Preston and her team must hunt down a disturbed individual before someone else is taken. But just when they think they’ve made a breakthrough, Ruby receives a sinister email, and the case takes a terrifying personal twist. When bodies start turning up, staged in perfect, domestic scenes, Ruby realises they’re chasing the most frightening serial killer she has ever faced. View this title and listen to a sample on Amazon. Gov-corp detective Carlos Moreno was only a baby when Atlas left Earth to seek truth among the stars. But in that moment, the course of Carlos' entire life changed. Atlas is what took his mother away; what made his father lose hope; What led Alejandro Casales, leader of the religious cult known as the Circle, to his door; And now, on the eve of the fortieth anniversary of Atlas' departure, it has something to do with why Casales was found dead in his hotel room-and why Carlos is the man in charge of the investigation. To figure out who killed one of the most powerful men on Earth, Carlos is supposed to put aside his personal history. But the deeper he delves into the case, the more he realizes that escaping the past is not so easy. There's more to Casales' death than meets the eye, and something much more sinister to the legacy of Atlas than anyone realises. 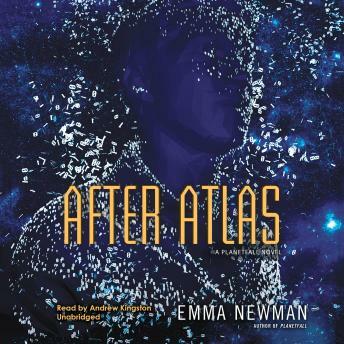 Find out more about After Atlas and listen to a sample here. Jack Morgan was doing just fine until Sally got on the plane. At least, that is what he thought. Jack is an American archaeologist, trying to trace a priceless South American artefact which has recently been stolen from the British Museum. Sally is a robotic secret agent, a Fembot newly assigned to MI6 and intent on preventing the relic from falling into the wrong hands. A group of sinister neo-Nazis are already making their way on foot through the Amazon jungle, with the artefact in their possession. Not far behind them are a cabal of Russian communists, who already have possession of a second relic. Legend has it that if these two artefacts are united with a third, more powerful object, the holder will be granted unimaginable power. The Nazis have a head start, but the race to find the Lost Fortress of the Eebieki People has only just begun. Find out more about this title and listen to a sample on Amazon. Featuring Cinderella, Snow White and Rapunzel, these three novella-length tales explore psychological themes latent in the classic Grimm versions. Rather than presenting two-dimensional "good" heroines pitted against "evil" step-mothers, GRIM portrays fully realized characters grappling with shame and self-doubt, suffering at the hands of mothers best thought of as narcissistic in modern terminology. Joseph Burgo, Ph.D., is a psychotherapist and the author of 'The Narcissist You Know: Defending Yourself Against Extreme Narcissists in an All-About-Me World' (Touchstone, 2015) and 'Why Do I Do That? Psychological Defense Mechanisms and the Hidden Ways They Shape Our Lives' (2012). His blog, AfterPsychotherapy, draws more than 25,000 visits per month and he is also a regular writer and commentator for news outlets including The New York Times, USA Today, The Washington Post, The Atlantic and NPR. View this title and listen to a sample on GRIM's Amazon page. And that's it, our December rundown, and as we sign this off we'd also like to wish everyone reading a very merry Christmas. We'll see you in the new year. If you'd like to find out more about Audio Factory's audiobook production services, find voice artist samples and information here.